Forty Toes: Positively Oakes Giveaway! I got added to this sweet group of wonderful crafty ladies and want to share them with you all! 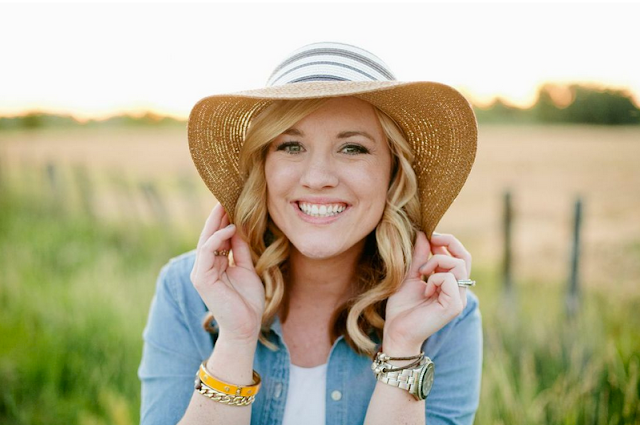 Meet Jessica of Positively Oakes! Positively Oakes was created in order for kids to be comfortable but fashionable. She believes that clothes should be functional and comfy for your little ones, but also fun! In late 2013, Positively Oakes was started in a small spare bedroom of a Utah apartment. Beginning as just a small shop on Etsy, in order for owner, Jessica Oakes to follow her dreams of creating and sewing the cutest fashions for little ones and their Mamas. After just five short months and over 4,000 sales on Etsy and Paypal, Positively Oakes became a full time career and is continuing to grow each day ! With a childhood and life filled with sewing and creating, Jessica knew this was the perfect opportunity to expand her talents and do something she was passionate about. She grew up in Orange County California, where she spent every second she could with her Grandma McQueen, who taught her to sew, craft, be positive and live life to it's fullest. After turning fourteen Jessica's family, along with her Grandma moved to Meridian, Idaho. Shortly after moving Grandma McQueen passed away, which was extremely hard for Jessica. She focused on fashion and creating, something she had grown so passionate about because of her Grandmother. Today Positively Oakes' main headquarters are based out of Meridian, Idaho, where Jessica continues to follow in her Grandma's footsteps and operate Positively Oakes. Love Love Love reading success stories like Jessica's! Here are a couple samples of her adorable pieces! One of my lucky fans can win a 50 dollar gift card to her shop! So easy you MUST be a fan on FB , leave a comment on her FB page and leave a comment on this post HERE! (Comment as many times as you wish to improve your chances! You can also find her on Instagram HERE! Or can't wait and want to start shopping NOW??? Use code FORTYTOES to take 15% off all orders HERE! Thanks guys for always supporting Small Businesses! During the Holiday season it is even more important! I love the cute baby shirts! I just might need to get one for my son! The headbands are pretty cool too. Wondering if I can rock one out! I love the little girl headbands. Just wishing that my little girls were still little to wear them. He also tallied the first assist of his NHL career on Feb. 14 vs. Colorado.. It does in all sports. That's why we watch. We want to be taken on that emotional roller coaster when we tune in or turn up to an event.. We used BMI as the outcome and a 69 variant genetic risk score (GRS) for obesity and 12 measures of the obesogenic environment as exposures. These measures included Townsend deprivation index (TDI) as a measure of socio economic position, TV watching, a diet and physical activity. We performed several negative control tests, including randomly selecting groups of different average BMIs, using a simulated environment and including sun protection use as an environment. "We Longchamp Soldes Destockage want to play different," Brooks continued, further explaining how the 2018 19 Wizards will look with Howard. Sac Longchamp Solde "Not necessarily an Ray Ban Sunglasses Sale UK overhaul but Bolsos Michael Kors Baratos we want to take advantage of his skill set. He's one of the best finishers around the rim. She posted a photo on her Instagram story which said: I learned about people. If they do it once, they do it again. A seven time Michael Kors Purses Clearance Commonwealth Games gold medallist, then posted another cryptic Oakley Sunglasses Sale UK warning on Twitter, interpreted by many fans as another swipe at Larkin and his reported anger at their breakup becoming public knowledge.